The remote-controlled robot nicknamed “Little Sunfish” likely found the melted nuclear fuel inside one of Fukushima’s nuclear reactors, this according to the Tokyo Electric Power Company Holdings Inc. (Tepco) – owner of the Fukushima nuclear plant. Tepco spokesman Takahiro Kimoto said during a news conference that while the pictures that were taken by Little Sunfish still need to be analyzed, it is possible that the objects pictured by the robot are “melted fuel debris”, also known as corium – highly-radioactive molten fuel and molten components of the nuclear reactor. Lake Barrett, a former official at the U.S. Nuclear Regulatory Commission, told the Japan Times that it is essential to locate the corium to develop the necessary plans for the safe removal of the radioactive materials. As a result of the 2011 tsunami, Fukushima’s nuclear reactors were once considered as ground zero – a place where neither man nor robot can survive. Prior to Little Sunfish, a handful of robots that were sent into the reactors “died” in the process. The latest finding of Little Sunfish “might be evidence that the robots used by Tepco can now deal with the higher radiation levels, at least for periods of time that allow them to search parts of the reactor that are more likely to contain fuel debris,” M.V. Ramana, professor at the Liu Institute for Global Issues at the University of British Columbia told the Japan Times. 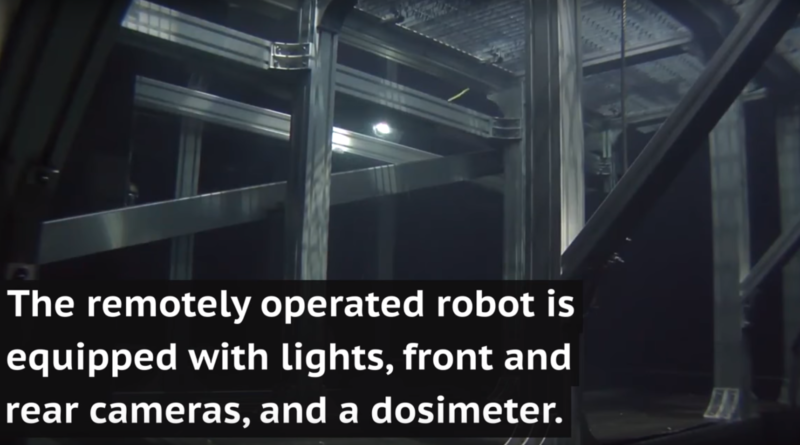 Little Sunfish, developed by Toshiba and International Research Institute for Nuclear Decommissioning, is a remote-controlled, radiation-hardened robot that is only 30cm long and has a diameter of only 13cm. It is equipped with front and rear facing video cameras.